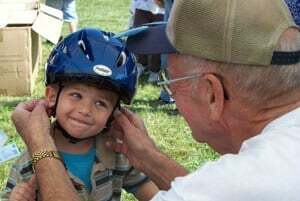 Make a Child’s Holiday a Little Safer by giving a bike helmet. Your donation of $25 or more to the TMA Foundation for the "Hard Hats for Little Heads" program, will make a difference in a child’s life. Gifts made between now and Dec. 21 will go toward Hard Hats events in December.